Do you remember the Pink Elephants on Parade scene, from the 1941 Disney masterpiece, in which Dumbo, after accidentally becoming intoxicated, see pink elephants sing, dance, and play trumpets during a hallucination sequence? Yes, Dumbo gets mad! Dumbo Gets Mad is an italian psych-rock project. He released on July his debut song, Plumy Tale [mp3] that was the feel good hit of﻿ last summer around here. It was reviewed with a 9/10 by Mr. Anthony Fantano (aka The Needle Drop) and it came with an awesome video: surfers and big waves. 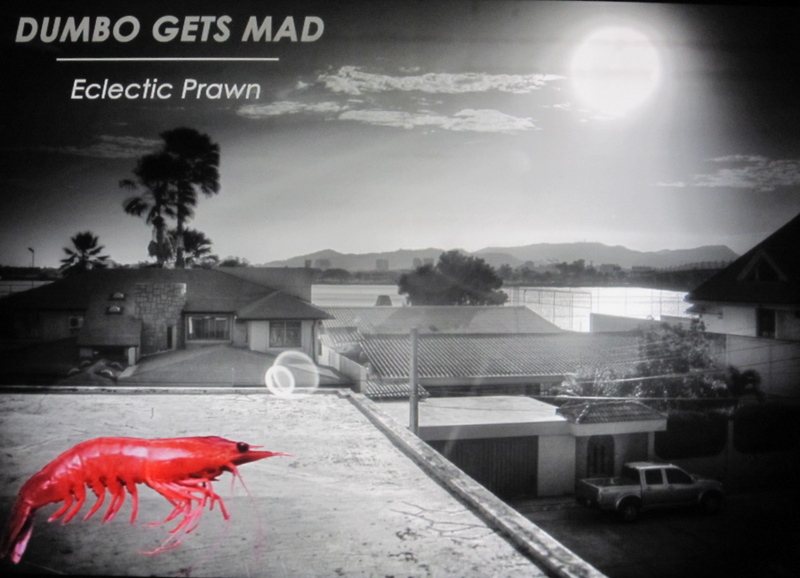 Now he is back and Bad Panda is really proud to bring you his second track, Eclectic Prawn: retro psychedelia, dreamy times and fat sunny days are here again. Enjoy the monday dish and be sure to scroll down for the interesting interview. UPDATE! DEBUT ALBUM ON BAD PANDA: FREE DOWNLOAD HERE! Two Gummi bears and some coffee. Sonic Youth albums, even if I don’t listen to that too much. It’s strange,I love listening to music while falling asleep but not when i wake up..
What do you think about music industry in the year 2010? I think there’s an exponential growth of opportunities but it’s really hard to find a good balance between art and business system. But don’t you worry, Google will handle it !!! In the middle of a five meters wave with two crazy dutchmen. he is now standing on the bottom of the sea. as it happens even up in the shore. Good God, this is a good track! And I just heard “Plumy Tale” for the first time. My mind is blown. The Needle Drop mutualized the love, as that is how I discovered Dumbo Gets Mad. Yay! Oh, Wristcutters one of my favourites. You’re the best, guys!